COOKEVILLE – A joint investigation by Special Agents with the Tennessee Bureau of Investigation, the White County Sheriff’s Department and the office of the 13th District Attorney General has resulted in the arrest of a Minnesota college student on a murder charge. At the request of 13th District Attorney General Bryant Dunaway, on March 8th, TBI Special Agents joined deputies and DA investigators in investigating the death of Timothy Jordi (DOB 4/01/1967), who was found deceased at this home in Sparta. Earlier that day, county dispatchers received a request to check on the welfare of Mr. Jordi, after he failed to show up at work. Deputies responded to the victim’s Washington Street home and found him deceased. An autopsy determined Mr. Jordi was the victim of a homicide. During the course of the investigation, Agents developed information that indicated the victim’s son, Joshua Jordi, a college student at Minnesota State University, was the individual responsible for his father’s death. 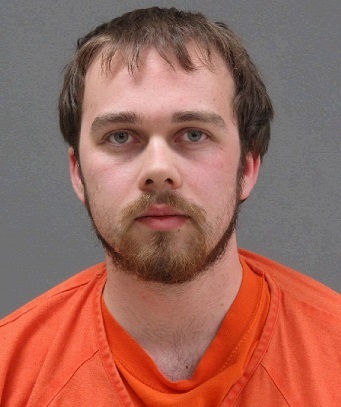 On March 12th, with the assistance of the Mankato Police Department and the Minnesota Bureau of Criminal Apprehension, investigators served Joshua Nathaniel Jordi (DOB 4/11/1996) with a warrant, charging him with one count of First Degree Murder. Jordi was arrested and booked into the Blue Earth County Jail in Mankato, MN, where he awaits extradition to Tennessee. Jordi’s bond was set at $1.5 million.